The Honest Dietitian: Gnu Bars Review & Giveaway! 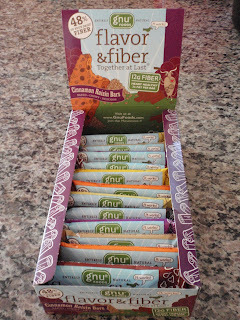 Now that we know how important fiber is & how little most of us get, check out these wonderful fiber-filled Gnu Bars! 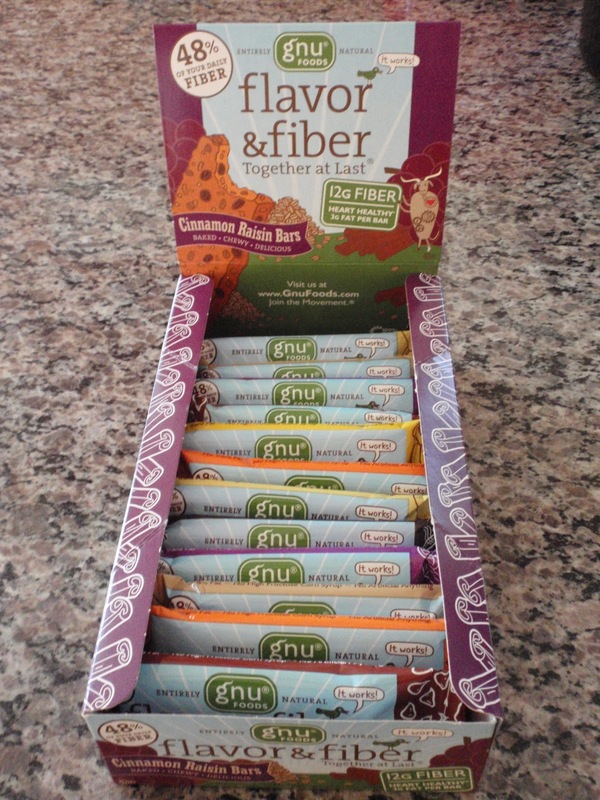 Gnu bars provide 12 grams of fiber per bar & only 130-140 calories, depending which flavor you get. I tried the Banana Walnut bar for breakfast this morning and it was tasty! These bars are baked and come in 7 different flavors: Orange Cranberry, Banana Walnut, Cinnamon Raisin, Chocolate Brownie, Peanut Butter, Espresso Chip, and Lemon Ginger. They pack a huge punch of fiber which works with weight management, promotes on-going regularity, and supports heart health/lowers cholesterol. This is a CLEAN product: natural with no high fructose corn syrup or hydrogenated oils, Kosher, Vegan, and good golly...for a fiber bar, it has flavor! I am impressed! You can find these at any The Vitamin Shoppe stores & some Whole Foods Markets. You can also order them at Gnu Foods. One lucky reader of The Honest Dietitian will win one of each of the 7 flavors of the Gnu Bars! The giveaway is open until Midnight, Wednesday October 12th 2011. Winner will be chosen using Random.org. The winner will be notified Thursday October 13th and will have 48 hours to respond before another winner is picked. Please leave your email in a comment, or make sure it is visible in your profile! Mandatory: Go to the Gnu Foods Facebook Page and "like" it. 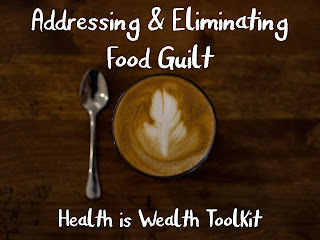 Tell them The Honest Dietitian sent you! Thank You & Good Luck to Everyone!! Look for More Giveaways this Week! I liked Gnu Bars on facebook. I've never tried Gnu bars, but will definitely look for them the next time I'm looking for a quick hiking snack.